← Nursing Home Video Shows Abuse and Mistreatment of NJ Woman. Connecticut Nursing Home Fined for Choking Death. An elderly patient at the Torrington Health and Rehabilitation Center in Torrington, CT, died after choking on a peanut butter and jelly sandwich. 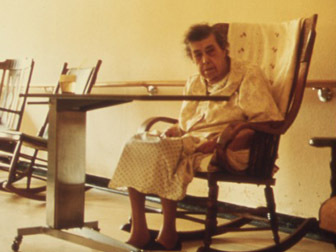 The Connecticut Department of Public Health fined the nursing home $510 for leaving the patient unattended, despite requirements that patients be closely monitored while eating. The state could have fined the nursing home up to $3000, but instead ordered the facility to submit a plan of corrective action in addition to the fine. Failure to monitor or care for an elderly patient is just one of the many warning signs of Massachusetts elder abuse and neglect. Victims of Massachusetts nursing home abuse and neglect, or their relatives, should contact our Boston nursing home abuse lawyers right away at 617-787-3700 if they suspect abuse. Our Massachusetts elder neglect attorney specialists, Boston, MA nursing home abuse lawyer experts, and Massachusetts elder neglect accidental death attorney professionals are available 24/7 at 617-787-3700 and are highly trained in Massachusetts and federal neglect and abuse law. Our Boston, MA nursing home abuse law office and Boston, MA elder neglect and abuse lawyer professionals will work endlessly to get you the personal injury damages or wrongful death damages that you deserve. Please call our Boston, MA law firm today at 617-787-3700. Our Massachusetts elder neglect attorney specialists are available 24/7 at 617-787-3700, or email us at gilhoylaw@hotmail.com.